Communicating with our community is critical to the development of an effective “learning community” as envisaged in our mission statement. To this end our leadership, teachers and education support staff pride themselves on being approachable and accessible and we actively seek feedback from the school and broader community. Over the past few years the school has developed ways to use digital technology to enhance our communication practices. 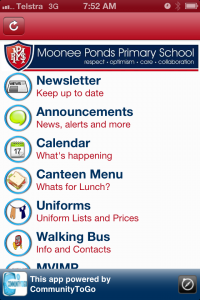 The school website hosts the newsletter, strategic documents and policies as well as information about the school programs (curricular and extra-curricular). 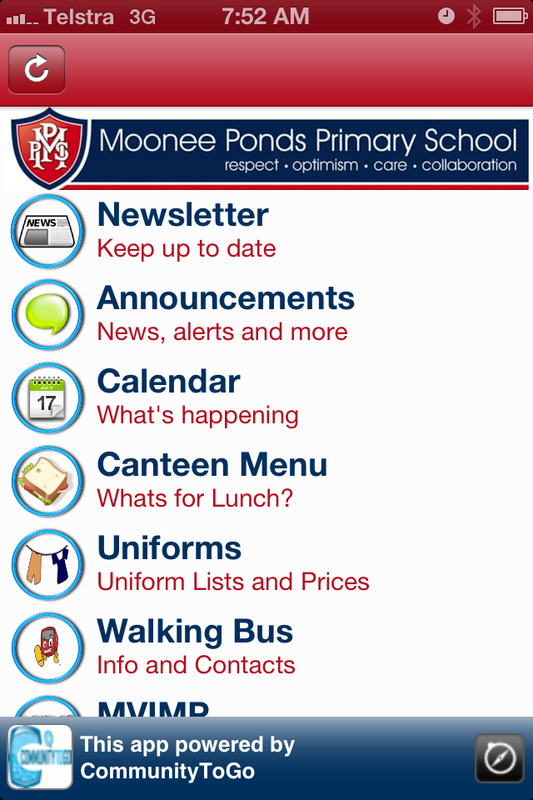 The introduction of the ‘school app‘ is also revolutionising the way we communicate with our community. It allows us to send messages, hosts the newsletter and other information about school clubs and programs and has a live calendar that we can update at any time. The app is particularly useful as a 24 hour communication point that can be read easily from the screen of a smart phone or tablet. We thank our partners “Communitytogo” for their support in developing and hosting the app. The following pages on this website allow parents to download and print the newsletter and important documents for school programs.